No need to get the deep fryer out for this chicken recipe. You probably have the ingredients on hand. 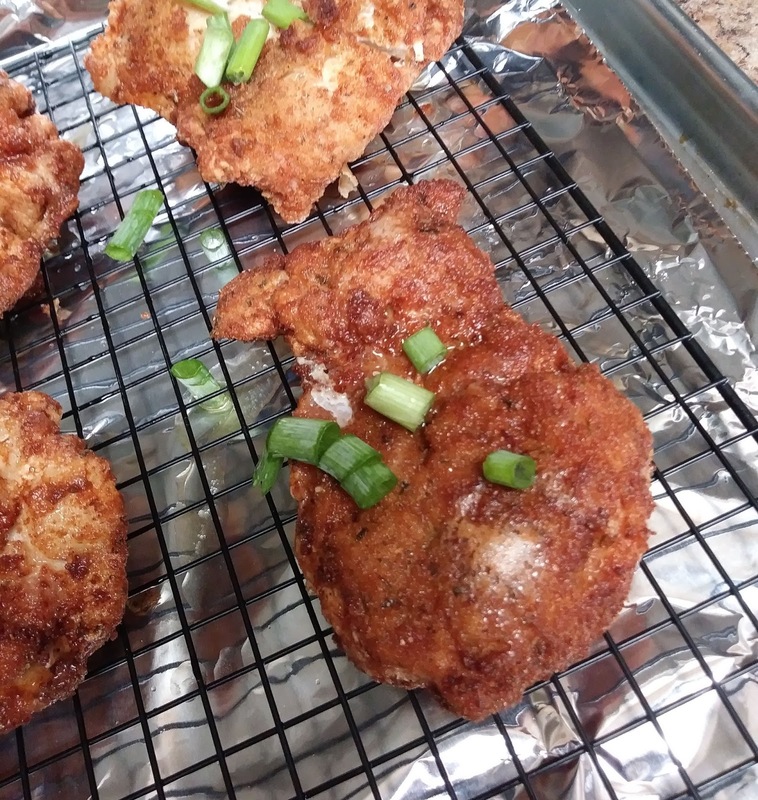 If you like comfort food, make this your go to skillet fried chicken, so crispy and juicy. In shallow dish, add flour, garlic salt, paprika, black pepper and oregano, mix well. In a separate dish, add eggs, milk, black pepper and cayenne pepper, stirring. Season both sides of chicken with, salt, pepper, garlic powder and onion powder. In 12 inch non stick skillet, heat oil (1/4 inch) over medium high heat. Carefully add chicken to hot oil, cook 10 minutes, until brown, turn, cook another 5 to 10 minutes, until chicken is cooked through and no longer pink. this looks great Happy Thanksgiving hope you have an enjoyable day and not have to work! Thanks, Claudia! Happy Thanksgiving to you and your family. Enjoy!